Vintage is in! 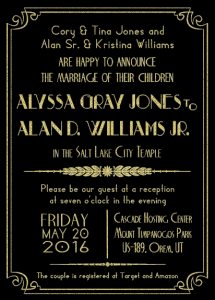 Get your custom designed vintage style invitations today! 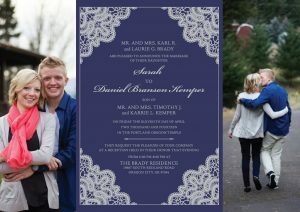 Here at The Invitation Maker we are experts in getting that antique, vintage look you want for your wedding invitations. 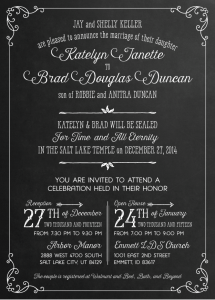 Are you imagining a wedding with the classic, beautiful glamour of days gone by? 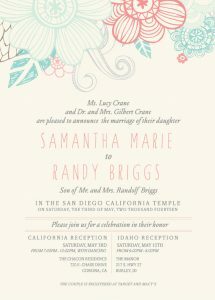 Let us help you reflect that unique style with gorgeous vintage wedding invitations! Bring us your ideas from Pinterest or elsewhere on the web, or peruse our gallery with hundreds of examples to choose from, to hone in on your perfect old fashioned taste. 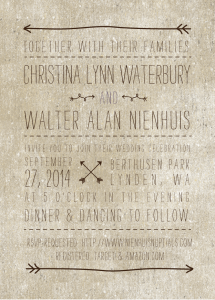 Get inspiration by browsing our site with hundreds of examples from brides we’ve worked with. 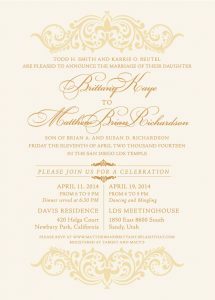 Work one on one with our skilled, friendly designers to refine your invitations to your unique style. Choose from a variety of options and add-ons to complete your package. 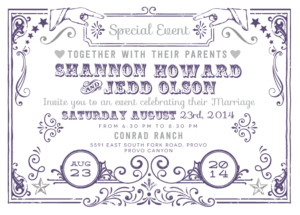 Your invitations will be printed and shipped to you via the shipping method of your choice. There can be a fine line between timeless vintage and kitsch. We have the experience and technique to get the look you want at a great price. 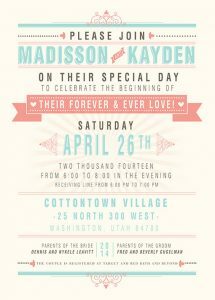 Let us help you create gorgeous invitations that are classy and beautiful with our talented team at The Invitation Maker. 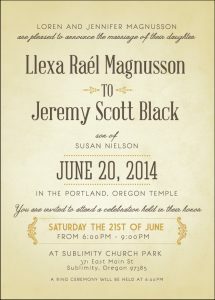 Your invitations will be printed on sturdy 130 lb. matte card stock in any color you like. Cream and other light colors are obvious choices to achieve a vintage look. Or you can opt for premium options like pearl metallic paper or foil finishes. Ready to dive in? 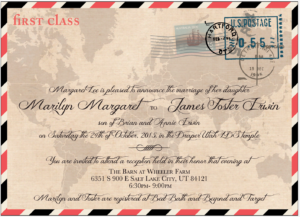 Get started by checking out our FAQ page for common questions, contact us if you need something specific (such as a real sample sent by mail for quality comparisons), or browse through hundreds of examples including vintage styles to find inspiration for your wedding invitations.